Smarten up your casual collection with our range of men's Barbour sweater jackets, a sophisticated take on a relaxed demeanour. Combining the laidback feel of a sweater with the protective zip front of a jacket, sweater jackets are the perfect solution to layering up when it's cold, or wearing as a single piece as a cover up. 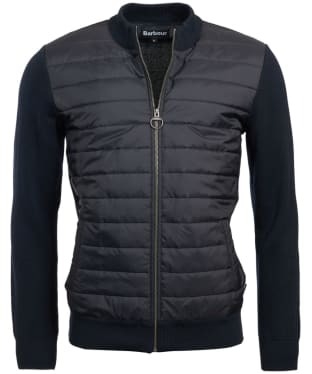 Barbour's signature use of the highest quality fabrics can be clearly seen, with super soft and breathable cottons working with lightweight knits and fleece trims. Their exclusive prints and patterns adorn the front and the trims of these jackets, showcasing colourful tartans and block designs in a plethora of colours for a stylish wear. 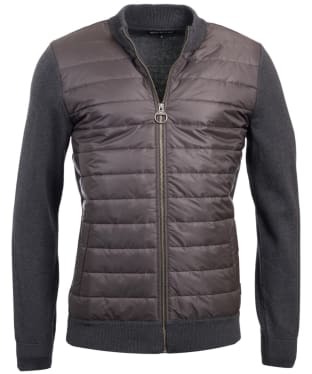 Practicality is key, with button and zip fasten pockets that can carry your necessities with ease, in addition to hood detail and stand collars for additional protection against the elements. 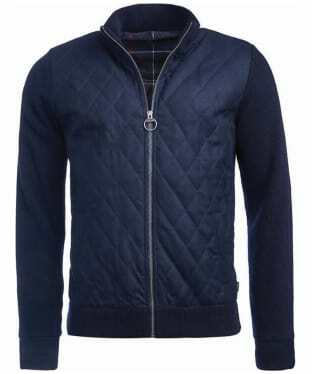 Whether simple and casual or more stylish with an abundance of features...explore the full range of men's sweater jackets.